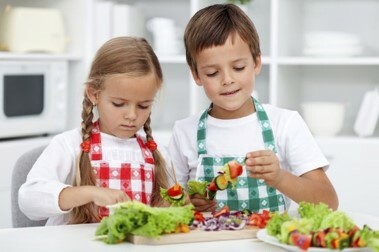 Join our Cooking class where your child can explore new cuisines, cook with vegetables and have fun! 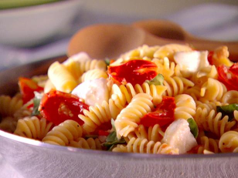 Enjoy delicious and healthy foods as we take a culinary journey through Europe! 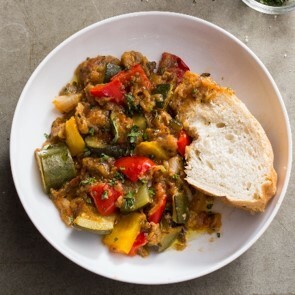 Your kids will learn to make Italian classics like Creamy Pasta Marinara, Italian Chopped salad, Spanish favorites like Veggie Paella, Greek staples such as Greek Salad and Shish Kabobs and we’ll finish in France with a Ratatouille Stew and Chocolate Mousse with Fresh Fruit. Each lesson students will develop their culinary skills while learning about nutrition, culture and even dining etiquette. Get hungry to learn the art of cooking! Each lesson students will develop their culinary skills while learning about nutrition, culture and even dining etiquette. On the last day of class, parents are invited to our Kid Restaurant, where the parents can see what their kids learned during the session! 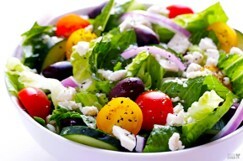 Recipes Include: Greek Gyro Chicken Wraps, Tzatziki with Pita Chips, Patatas Bravas, Swedish Meatballs, French Salad with Vinaigrette, Quick Chocolate Mousse, and more! Enrollment is limited to 14 students per class. Register today! “My son was very proud to share with me the cooking techniques he learned and looked forward to recreating the recipes at home. "LIFT" Enrichment (“Learning Is Fun Time”) is Los Angeles’ leading provider of culinary education programs and partners with 70+ elementary schools and Whole Foods. 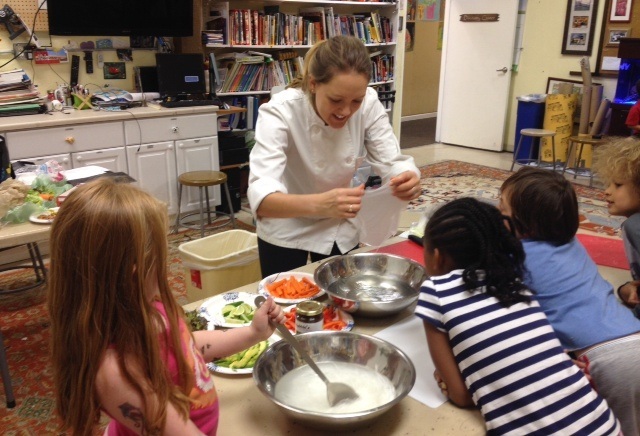 We help kids learn to eat their vegetables through fun, hands-on cooking classes. 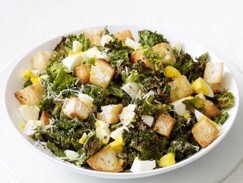 We're making pasta, soups, salads, appetizers, veggie sides, desserts and much more. Plus each class include history, science, math and culture. How is food safety factored into the class experience? All cold items are transferred to the school using an insulated bag with an ice pack. This commute is typically 1-3 hours to keep the ingredients at an optimal temperature. 90% of our recipes are vegetarian, so when we do bring in a healthy protein such as lean chicken breast or beef, it's transported with extra care. Also, we train our Chef Teachers on safe food handling so they know how to cook all foods to correct levels for consumption. How do you effectively manage a group of students in elementary school that vary in age? Another core part of our orientation is classroom management. We use call and response techniques to get the attention of the kids and focus on an orderly progression for each recipe. Students clean their hands frequently and help cleanup all utensils, bowls and cutting boards routinely. All recipes feature fresh ingredients purchased from local groceries. Check out our recipes to see that most of our ingredients consist of produce such as zucchini, garlic, onion, bell peppers and much more. What do you teach during class? 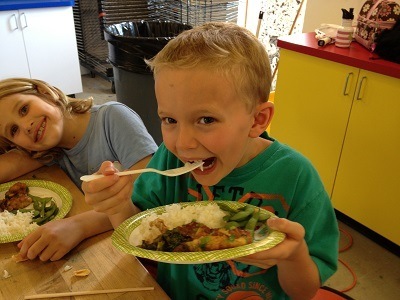 Each class focuses on a healthy ingredient to cook into a tasty dish. During class students will learn about nutrition, culture and even dining etiquette. How do you train your Chef Teachers? We hire Chef Teachers who have experience working with children and have a passion for cooking. Some are former elementary teachers, or camp counselors while others are private chefs. In our 3-hour Orientation they learn about class management, food safety, class engagement, how to teach and much more. There is also 5-hours of video tutorials of our class mechanics and how to teach each recipe, plus an extensive handbook. We also have regular professional development and weekly roundtables for all chef teachers to get feedback and share class experiences. How can I see a class?